This part of the country does not get many tourists. The Wilkes-Barre/Scranton area was built around coal mining and offshoot heavy industries. The cities have been losing population for the last fifty years. I chose Wilkes-Barre specifically as a starting point because it is right on I-81 which comes up through Virginia. I was able to drive to Wilkes-Barre from Chapel Hill in a little over eight hours. This trip would also give me an opportunity to bicycle up to Binghamton, New York; a city on the skids that I have also been wanting to visit for a while. Why, I am not sure. I guess it just seems exotic to someone from Virginia and North Carolina. I parked my car in the lot of a Walmart on the northern fringes of Wilkes-Barre. Walmart is fundamentally American in its outlook and Walmart projects a tired American creed: parking should be free and available to anyone, anytime. I feel safe leaving a car for three or four days in a Walmart parking lot. I pulled the bicycle out of the trunk. My parking space was catty-cornered between the Walmart and a Cracker Barrel restaurant. The Wilkes-Barre / Scranton area is built in an area called the Wyoming Valley, and the cities are strung together in a line between mountains. For there to be space to build a Walmart and other suburban sprawl, Wilkes-Barre has grown north into the steep slopes of a mountain on the south side of town. I biked out of the Walmart parking lot and descended a couple miles downhill into Wilkes-Barre. The first big building I saw was this impressive abandoned brewery. I descended a little further into downtown Wilkes-Barre. This used to be an important city. The hour was later than planned, and I decided to not try and bicycle further but just stay here in this city. Luckily I found a nice motel right downtown. Even checking with Yelp, there did not seem to be many fine dining options here in downtown Wilkes-Barre. On this warm and pleasant evening I stumbled onto this bar downtown that was spilling onto the sidewalk. It was quite the scene, even if my dinner was just bar food. I strolled around in the dark alone after dinner, and discovered that Wilkes-Barre (and Scranton, and Binghamton) have something that Raleigh, and Durham, and Charlotte, and Richmond, (and probably Atlanta) no longer have: an old-school multi-story department store downtown. From searching the web, I learned that the regional chain Boscov’s is privately held; this may be its saving grace. If it was publicly owned I am sure shareholders would have insisted someone cut the cord. Here in downtown Wilkes-Barre it stood impressively open at 8:45 PM. I went inside and was confronted with the obligatory first-floor cosmetics department. There were several floor levels, and escalators. I found the men’s department and looked for something to buy, just to do my part. Sadly, I could not find anything I liked. I admit, I am picky. The next morning my plan was to cycle upriver towards Scranton and then, I hoped, head off in the direction of Binghamton. The Scranton / Wilkes-Barre area has enormous amounts of walkable neighborhood that I wished we had more of in the Raleigh/Durham area. In the linear strip along the river and Main Street, Wilkes-Barre to Scranton and beyond; early twentieth century residential areas go on continuously for over twenty miles. I have noticed in my travels of struggling white working class areas people reach for that last stretch of entrepreneurialism: drag stuff into your front yard and try to sell it. On this sunny Saturday morning the Garage Sale scene was humming. It is about twenty miles from Wilkes-Barre to Scranton and I got to downtown Scranton about eleven in the morning. Scranton is named after the mid-nineteenth century businessman who founded the place; more or less a company town. The city grew up around what became one of the largest steel works in world. There are also coal mine tunnels running underneath this entire area. The coal mining industry here came to an end with a mining disaster in 1959; a coal mine punched through to the Susquehanna River, drowning twelve people. Now unfortunately the steel industry is pretty much all gone. Among other industries Scranton had an enormous railroad maintenance facility that also closed many years ago. In 1986 this area’s congressman got federal funding to make a national park out of that maintenance facility; it is called Steamtown. It is perfect for old guys like me to walk around and gaze at huge machinery. They even have a crew on the payroll here who rebuild and maintain working steam locomotives. I could have spent all day at Steamtown, but after walking around awhile I got back on the bicycle and headed through the northern part of Scranton. I found an Italian deli and something called antipasto salad. Three twenty somethings were at the other table and while I ate lunch I surreptitiously listened to them talk about their lives and careers. It all sounded optimistic. The young woman had just gotten a nursing degree. The guys had jobs and all sorts of plans. It was comforting to know that not all educated young people with a future were leaving Scranton. I had a job in the great North Woods, working as a cook for a spell. But I never did like it all that much and one day the axe just fell. So I drifted on down to New Orleans where I happed to be employed. 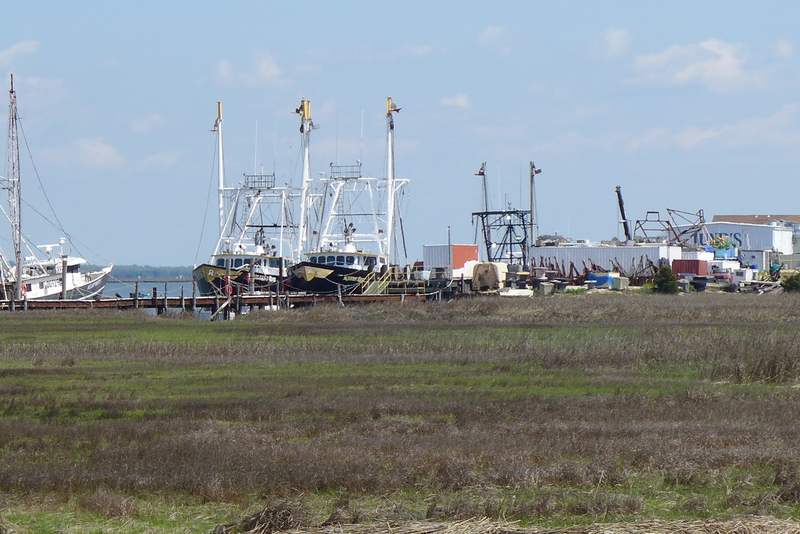 Working for a while on a fishing boat right outside Delacroix. But very few people have romantically escaped to Wilkes-Barre, or written a song about it. I suspect people do leave town, but very few come here, especially educated young people. After lunch I headed further through the valley, through more of this this linear city, municipalities with names like Dickson City and Blakely. As I biked further up the valley I had thoughts of where I was going to stop that night. I called the one hotel listed in Carbondale and they said they were full. A wedding. Nothing seemed available on Airbnb either, so I had to turn around and head back to North Scranton, where I had found an Airbnb. I chilled in the room for a while before looking for a place to eat dinner. I particularly like to eat Italian when I am in the Northeast. Casa Bella is really nice restaurant. On a Saturday night people were dressed up for an Evening Out. I do not mean to be snide, but there are key differences in what I will call Red America Restaurants, and those in Chapel Hill (or New York City, for that matter.) The principal one is that prices, even at quite nice places, are lower. And almost always the salad is included, rather than having to order and pay for an appetizer and an entree. The wine prices are six dollars a glass, rather than nine or ten or eleven. As an Italian restaurant it had the obligatory signed photo by an aging rock star, and higher-ups in the Catholic Church. The wait service here was top notch, middle aged professionals who were always available but never hovering. And the food was really good. The salad came already dressed Italian style. Sure, there was a lot of iceberg lettuce, but that is my only complaint. My body was craving a good tomato sauce. Homemade three cheese ravioli was delicious. After dinner I walked in the dark back to the Airbnb. The next day I did something that (I swear to you my readers) I have never done before. It was almost seventy miles, over a mountain range, from my North Scranton Airbnb to an Airbnb I had already booked in Binghamton NY. A huge mountain loomed over Scranton. So, my bicycle and I took an Uber at 7:30 AM on a Sunday morning. The Uber was just to cover the first six miles, but six miles that were almost continuously uphill, a mountain climb to a Scranton suburb appropriately called Clark’s Summit. It became apparent that a large proportion of what is upscale in the Scranton area is up here on the mountain of Clark’s Summit. I saw a Talbot’s women’s clothing store, for example. There is a Starbucks’s. There is also a really nice locally owned coffee house called Duffy’s. They make a mean breakfast sandwich. The baristas were fooling around. I got back on the bicycle and heading down the road on highways through the mountains. US Highway 11 more of less parallels a railroad that was put in relatively lately, about 1915. Crossing these mountains, when it was built it was considered an engineering marvel. Of course, today, it is abandoned. Senator Chuck Schumer is trying to get it re-started as a commuter rail line to New York City; a way to bring progress to Scranton and Binghamton. Another rail bridge, even longer and higher. Most of this bike ride was through woods. There is not much out here. I did go through two or three very small towns. Compared to other parts of the country, the Northeast has a lot of small independent old-school ice cream places, usually out on a highway. I stopped for a chocolate swirl just outside of the town of New Milford. Back on the bicycle I rode through a mixture of woods and small towns. It all felt very remote until US-11 crossed I-81, where there were many more cars and strip shopping centers. I stopped at a Subway for lunch. Just north of I-81 my highway (US-11) crosses the Pennsylvania / New York State line as it passes through the quaint small town of Corbettsville. Pennsylvania must be a better place to buy guns. Binghamton has a current population of 47,000, about the same population as it was in 1910. The population was 80,000 in 1950. I read that in the 1950’s over 15,000 people worked for one shoe manufacturer (E-J). Binghamton’s current economic engine, if there is one, is the SUNY campus, called Binghamton University. I had booked an Airbnb the previous day. It is in an older neighborhood about two miles from downtown. This duplex house is the nicest on the block. I hung out in the room for a while. It is pleasant where houses frequently do not have air conditioning, so you can sit in a room with the windows open. I eventually biked downtown to have some kind of dinner. A brewpub downtown that looked quite new had a few people at the bar. The old guy with the white beard was quite talkative. It turned out the the old guy, his wife, and me had something in common. We were all tourists in a city that certainly does not get many tourists. The retired married couple were from Australia. (Tasmania!) They had only been to America once before in their lives. This trip they had spent a week in San Francisco and a few days in New York City. The wife wanted to see Niagara Falls. They thought that ten days driving around New York State would give them a good slice of what American life is like. I thought, is this true? The next morning I biked all over the Binghamton area. Similar to Scranton, Binghamton looks gray and down on its luck. It does NOT look completely abandoned like a Detroit or Bridgeport CT. This lovely 1930’s looking building was behind a warehouse. I had found a good deal on a one-way Enterprise car rental for the drive back to the Scranton airport. Two hours later I dropped the car off and then had a couple hours to again bicycle around Scranton and Wilkes-Barre before going back to the Walmart, to get my car and the drive home. In downtown Wilkes-Barre there is this huge building that looks like a mosque. It was built in 1907 as a Masonic lodge (Shriners!). It is currently empty and decaying. It is hot in North Carolina in July. Seeking to go cycle somewhere with less oppressive heat, I searched the internet for air travel deals. While not a summer destination as ideal as, say, Burlington, Vermont, I could travel nonstop on American Airlines to and from New York City’s La Guardia airport on a free ticket for only 15,000 frequent flier miles. I came up with a plan to bicycle north from La Guardia the almost 200 miles to Albany NY in four or five days, take the Amtrak ($43.00) back to NYC, then bike back over to La Guardia airport for the flight home. Tootie dropped me off at Raleigh/Durham Airport about 6:30 AM. The flight departed the new Terminal 2 at 7:45 AM. I had checked as luggage the PBW folding bicycle which fits in a standard suitcase. A complication of traveling this way is that the bicyclist has to find somewhere to store the hard plastic suitcase while bike riding. Tootie and I own only one car, a 2004 Honda we inherited from her late mother. We end up renting cars a fair amount, almost always with Enterprise, where I have a frequent renter account. Enterprise has a company culture that encourages good customer service. I have rented cars many times as part of my bicycle tours, and on several occasions an Enterprise office stored my empty bicycle suitcase. On this New York trip even though I was NOT renting a car, I audaciously emailed Enterprise at La Guardia and asked them if I could leave my empty bicycle suitcase with them for five days. Jason Imperiale and the rest of the team at Enterprise La Guardia could not have been more helpful. Having taken the rental car shuttle over to the Enterprise office about a quarter mile from the airport, I found a shady spot and put the bicycle together. I took this picture when I was 3/4 done. I finished packing up. Enterprise accepted the suitcase with a smile and I bicycled off into Queens, NY. A residential grid of streets, which is ideal for bicycling, starts almost immediately in front of La Guardia airport. My brother Alex lives pretty far away in another part of New York City; Park Slope, Brooklyn. He took the subway up and met me for lunch at Telly’s Taverna in Astoria, Queens. There has been a large Greek population in Astoria for many years. We got grilled octopus, among many other things, including a bottle of Greek white wine. My proposed four to five day route to Albany would mostly go up the west bank of the Hudson River. This afternoon, to get to the west side of the Hudson, I would need to cross much of New York City; from the borough of Queens across the East River to Ward’s Island, then cross the Harlem River into Manhattan, then across Manhattan to the George Washington Bridge, which crosses the Hudson River into New Jersey. First I crossed the East River on the RFK bridge. I had had to circle the block several times before I found the bicycle/pedestrian path. A sign said to walk your bike but I gave up and biked most of the way. 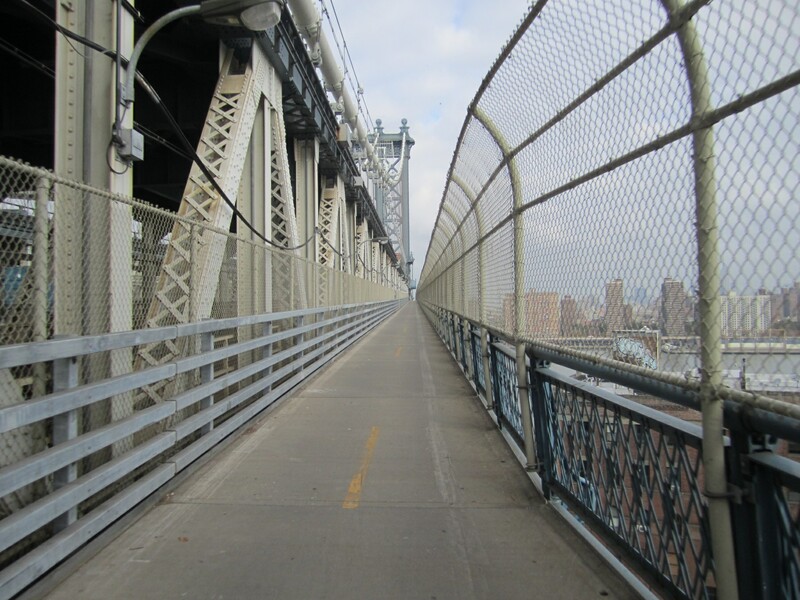 The Ward’s Island Bridge across the Harlem River is reserved for only pedestrians and bicyclists, and it takes one into Harlem/upper Manhattan. 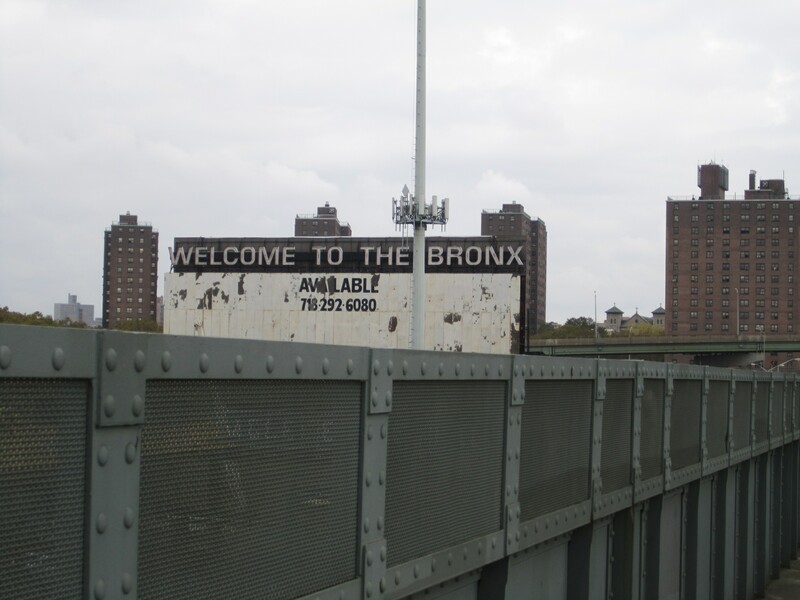 Although Manhattan is long and skinny, bisecting it through Harlem it still felt huge. There is dense city for several miles. 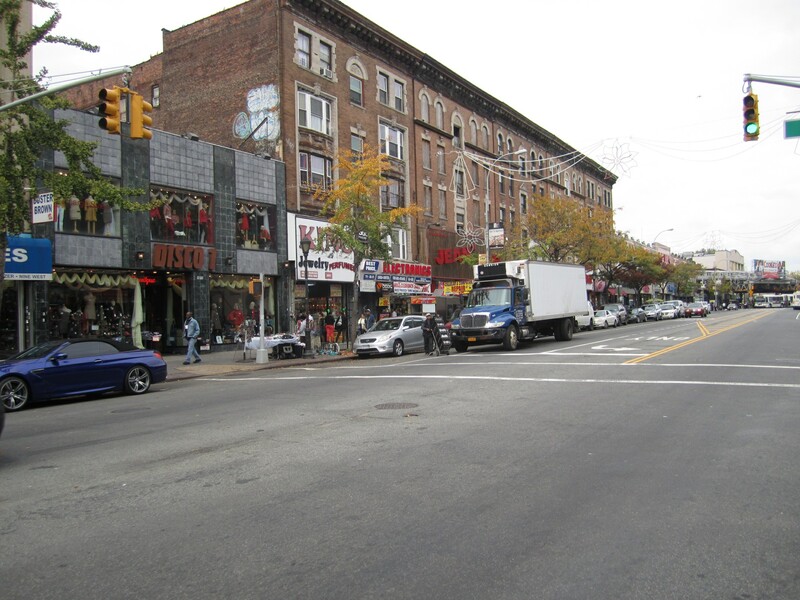 Where in the past Harlem had a negative connotation, now it seems like a vibrant mostly African-American neighborhood. There were people hanging out on the street. I finally got to the George Washington Bridge and the entrance to its pedestrian/bike path. Once across the Hudson the scenery got rural quite quickly. The George Washington Bridge deposits a bicyclist into the northeastern corner of New Jersey. US-9W going north along the Hudson for first two or three miles was dangerous and busy, but after that Route 9W continued through a series of parklands, where it passed back into New York State. The highway safely had wide shoulders and there were other bicyclists on the road. I had not made specific hotel reservations for this trip except for this first night, for which I had booked in advance an Airbnb in Nyack NY, about twenty miles north of the George Washington Bridge. It started to rain about four miles from my destination. I texted my Airbnb person, and she said she was not home, she was at a bar having a drink with a friend! I was to stay in the basement apartment of a two story suburban house. She told me on the phone how to get in though her garage by punching in a code. The apartment was quite nice, and I chilled for a while, trying to dry off. Dina, my hostess, had said she wanted to cook me dinner, even though this was not part of the Airbnb deal. She called me from downtown Nyack about 6:30 and said she and a friend were still there, did I want to come down to this bar? She said she would buy me a hamburger. The rain had stopped and I biked from her house about a mile into downtown Nyack. Dina, her friend and I sat at the bar while they watched me eat my hamburger. They both liked Trump and asked if I was a liberal. What else could I say but; yes? I got up the next morning and looked outside. While the previous day had been North Carolina hot, the second day was predicted rain all day and high of 66 degrees! I find that I can focus better on my reading while I am on these bike trips. Two days earlier, the night before I left North Carolina, I had seen my friend Daniel Wallace at a concert and talked with him about his new novel Extra-Ordinary Adventures. I told him that I hardly ever read novels. He encouraged me to read it anyway. This morning I sat with my Kindle in this Airbnb apartment listening to the rain outside and reading the interesting story of a “boring” guy at an apartment complex in Birmingham. I was to finish the book during this trip. Dina, just to be nice, fixed me breakfast. Afterwards, she had to go someplace, and left me alone in her house, to let myself out when the rain stopped. The rain had stopped for a while, so about noon I headed down the road. While the cycling on route 9W is fairly safe, I was able to get off and ride on side roads for much of the way, which made it more pleasant. I got a flat tire in the drizzle, and had to stop and fix it. Looking for somewhere to eat lunch, one of the very few restaurants had a management and a clientele that looked entirely Mexican. I ended up sharing a table with this little guy who did not fit at his parents table behind him. I ate beef tacos and washed it down with horchata, all delicious. After lunch, I headed back into the drizzle, biking near the river on small roads. At one point I ducked under a railroad overpass to check my map and get out of the rain. Unless you go out of the way, one cannot bicycle along the west bank of the Hudson here without passing through West Point, the United States Military Academy. It sits on a high rocky bluff overlooking the river. I rode up to the guard shack and asked if I could bicycle through. He directed me back to a visitor center, where I had to apply for a “pass.” It was like going to the driver’s license office. I had to sit in a room for about 45 minutes and wait my turn, have them take my picture and examine my driver’s license, then print me a hard plastic “pass.” (It is good for a year!). I thought about taking snapshots of this security process, but in the current political/security environment I figured the authorities might not appreciate that. I did ask at the guard shack if I could take pictures within the Academy and they said, sure. It continued to be a very gray day with light rain. It was all uphill from the center of the campus to the gate exiting on the north side. After that, state route 218 for the next 6 – 8 miles north is one of the lovelier roads I have travelled in the eastern U.S. It passes not only through dense forest but winds high above the river like I remember the coastal roads on the French Riviera. A little further up the road I stumbled onto New York Military Academy. The Donald’s alma mater! Don you remember during the campaign when he said that he had “military experience”? 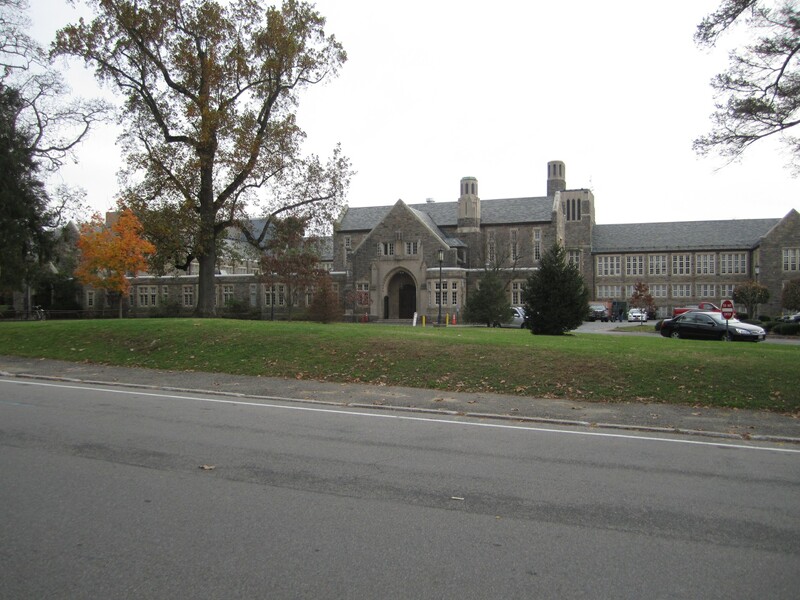 I have biked recently through a similar school in Virginia (Hargrave) , and it currently looks quite shipshape. This place did not, the grass was not even mowed properly. On March 3, 2015, NYMA filed for Chapter 11 bankruptcy protection, facing serious financial difficulties from low enrollment. 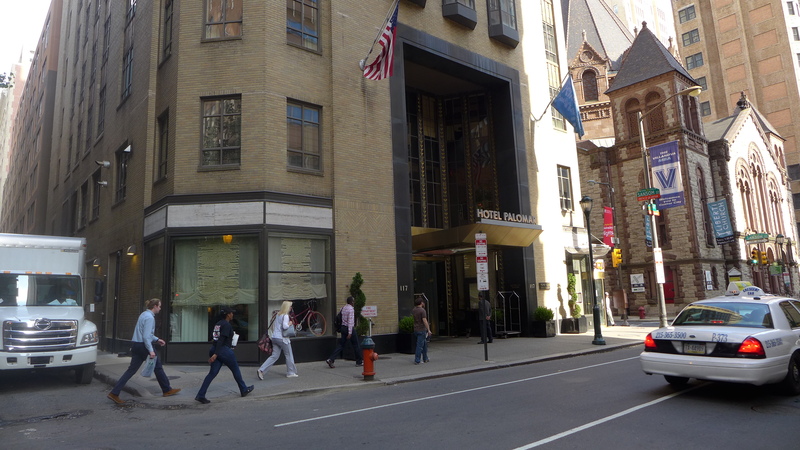 Instead of opening for the fall semester in September 2015, NYMA closed and was sold at auction to a group of Chinese investors who reopened the school in November 2015. I had been bicycling in the chilling rain for many hours. I needed to stop. In the town of Cornwall-on-Hudson I paused for a hot decaf latte. I looked at my phone for a place to stay in the upcoming larger town (population 28,000) of Newburgh. I telephoned a lady running a bed and breakfast in Newburgh. She said she was not physically in Newburgh but employed Mike who lived in the building and ran things. She said it would cost $155.00; I said that was way too much. She came down in price considerably. The B&B is in a formerly nice neighborhood near what used to be the downtown before they tore it down. Newburgh is clearly on the wrong side of the winner/loser line that divides New York State towns. It used to be a prosperous place and has and used to have many historic buildings. It rivals my father’s hometown of Norfolk, VA for being a place where huge sections of an historic city were wiped off the map by clean sweeps of “redevelopment” financed by federal money during the 1960’s. 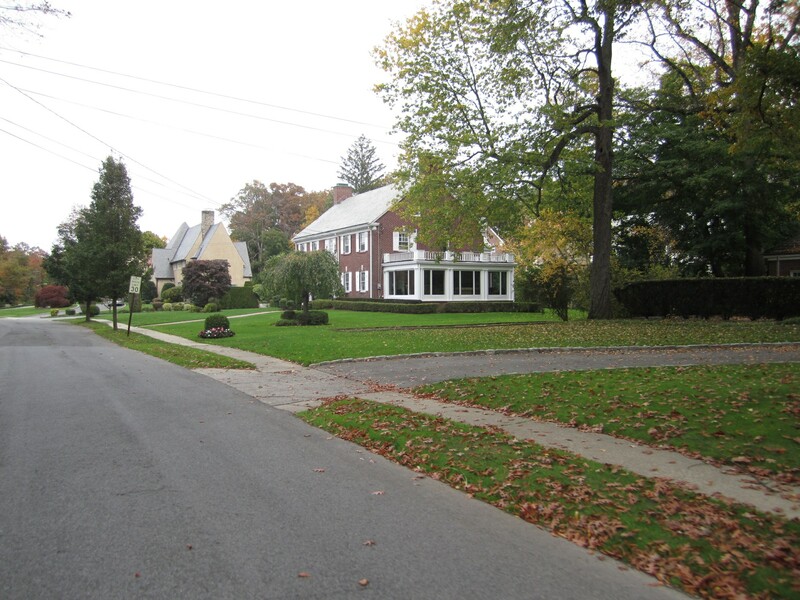 Some sections of Newburgh were still preserved; I took this picture the next day. There is a successful looking strip of restaurants on the Hudson waterfront of Newburgh. The area is wedged between railroad tracks and the river, separated from the original part of town. It feels more suburban, less “ghetto” than the original Newburgh, even though it is within walking distance to my B&B. There is lots of parking. On that strip I ate at a large, flashy, expensive restaurant called the Blu Pointe. Spelled this way, Blu Pointe. Billed as “steaks and seafood” the dining room overlooks the river. Coming from North Carolina I just don’t see restaurants like this and I don’t see people like this. Men dressed in tight fitting and expensive looking clothes, with slicked back hair. I would think these people had nothing to do with organized crime, but about the only place I have seen people dressed like this was watching The Sopranos. Entrees were like $ 43.00. The place was packed on a Friday night with people waiting for a table. I stood around for about twenty minutes before a seat opened up at the bar. I ordered a bowl of clam chowder ($10.o0: delicious) and then an appetizer sized octopus salad($15.00: also delicious) and with the free bread and accompanying free caponata, it filled me up nicely. I sat next to a retired Delta Airlines pilot and a similarly aged guy who bragged about the number of Italian restaurants he owned back in “the city.” We all had a nice chat. As I was leaving, I pointed my phone camera back at the crowd at the bar. Since I was staying at an actual B&B instead of the Airbnb variety, breakfast was included. Mike said that breakfast was to be at 9:00 AM. I awoke much earlier and had some time to kill. Honestly, I had never figured out how to watch television on my I-Phone until this very day. I spent some time fiddling with Amazon so I could watch Claire Danes in episode 10 of Season Five of the series Homeland. Yes, this B&B was in an old house and was quite ratty around the edges. The electrical plugs in my room were a disaster. But the view out the window of the Hudson is lovely. And Mike is a good cook. There were only two other guests here, women from Salt Lake City who talked about their liberal politics. They were in the Hudson Valley to look at art museums. I had a nice talk on the porch with Mike about Newburgh and its problems and safety issues (“just don’t walk in THAT direction”) before I bicycled down the road. I told Mike I was headed to Kingston NY as the day’s destination (“in that town, watch your bicycle carefully”). Even though Newburgh has lots of abandoned buildings, just north of town there were brand new houses sprouting up the hillsides. The ride north, angling slightly away from the river, was lovely but involved steep hills, passing through miles of apple orchards. Before Kingston I would have as an intermediate lunch stop in the town of New Paltz. Home of a State University of New York campus, New Paltz is a winner among small upstate New York towns. The streets were filled with people who looked like students, prospective students, and their parents, plus the typical young eccentric looking people who would hang out in a college town. I found a coffee house where I could chill a while after lunch and read more of Daniel Wallace’s novel. Biking north of New Paltz the scenery was just as lovely as the ride before lunch but this time there were almost no hills as the terrain flattened out along the Wallkill River. 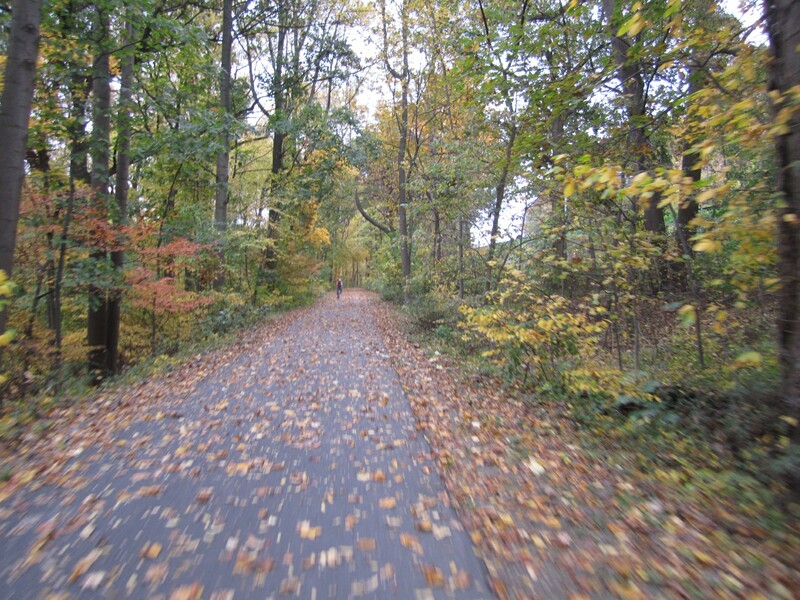 Although it is not continuous, there is a rail trail much of the way to Kingston. The gentle twisting country roads along the flat landscape were even a more pleasant cycle than the bike path. America has become so politically polarized that I could see how people were voting just by the brand of cars (or trucks) in their driveway. As Mike had said it would be, Kingston is a rough looking town. Kingston was once the center of America’s cement business. Later that evening I looked on Wikipedia and compared Kingston NY to Raleigh NC. It really tells the story of urbanization in America. These figures are rounded off. Enough of statistics: let’s have a drink! I have a new theory, if you bicycle up to a place and just want a nice friendly place to drink a beer, look for a brewpub. They are popping up all over America; they are in almost every town now. All kinds of people like bars that make their own beer. Sure enough, on Google Maps I found Keegan Ales in a “transitional” neighborhood. 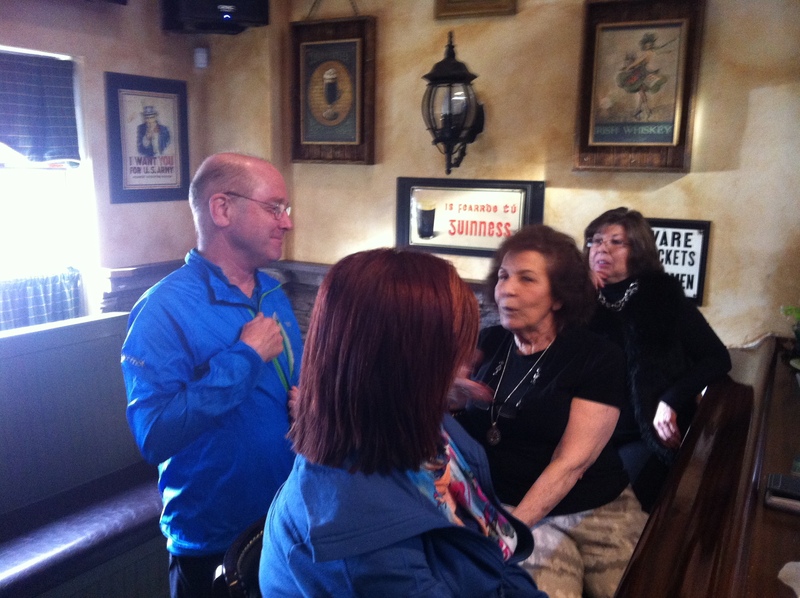 There was delicious beer and fascinating people of all political persuasions and ages. 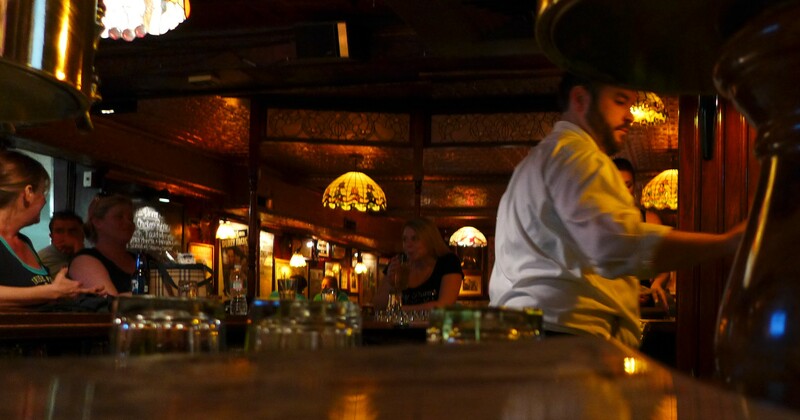 At the bar, on my left were two seventy something guys that had worked most of their lives in blue collar jobs. They liked Trump, but were really nice about it. On my right was a fifty something couple that lived in New Jersey and thought Trump was crazy, but they were nice about it also. There were younger guys across the bar that I did not have a chance to talk to. After the drink at Keegan’s I got back on the bicycle and rode to another part of Kingston where I had booked an Airbnb. It is in a house owned by a woman about my age who moved a year and a half ago to Kingston from Manhattan. The said she was a “minister” but this was the business card she had available in the room. Because I left so early the next day I did not have a chance to talk to her much. It was a really nice room, on the second floor in this picture behind the leaves. 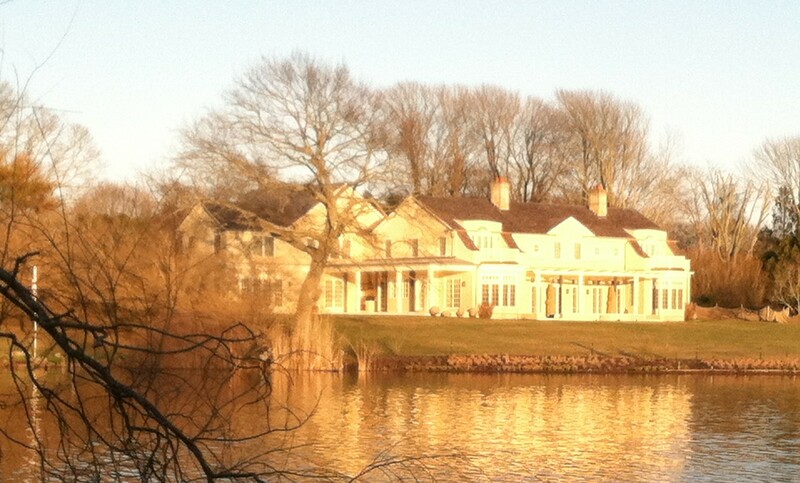 The house is bigger than it looks. North Carolina has almost no old-school Italian-American restaurants. Frank Guido’s in Kingston does fill that bill. There were celebrity posters on the walls. Wood paneling. Gambling machines. Red sauce. This guy I sat next to was the chauffeur of a limo. Of course I got eggplant parmesan. The next day was predicted to be sunny, so I got up and out early, to beat the heat. It was clear and 61 degrees when I bicycled off at 6:50 AM. I was to cross the Hudson River on the Kingston-Rhinecliff Bridge, from where I would cycle the rest of the way to Albany on the east side of the river. The village of Red Hook, and pretty much everything else on this side of the river seemed what Kingston and Newburgh had not been; cutesy, wealthy, pretty. In Red Hook I got a coffee and a roll at this coffee house. 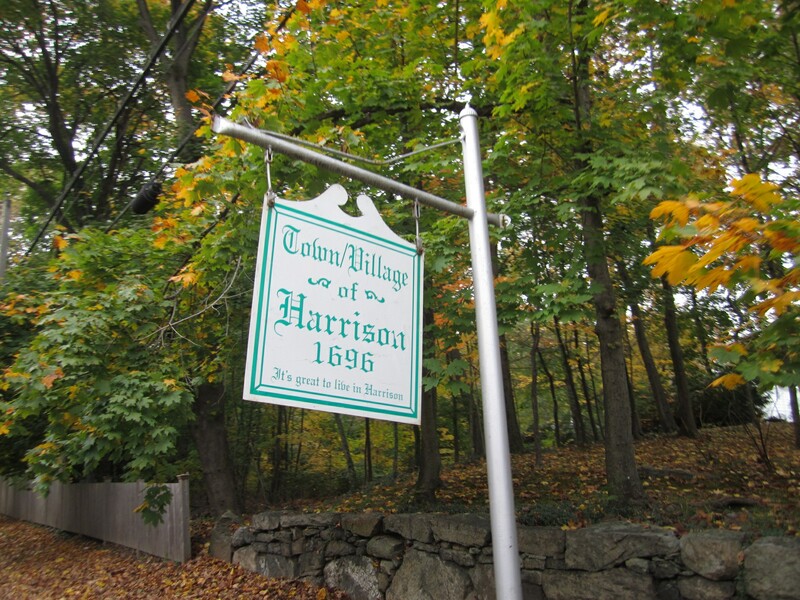 Just a couple miles west of Red Hook is an area called Barrytown. It is not even a real town, about as much of a town as Calvander NC, if you know that area. I thought of Barrytown because of the 1974 song by Steely Dan which I have had in my head for the last 43 years. Steely Dan lyrics are always difficult to decipher. I remember that the two principals of Steely Dan went to Bard College, about five miles north of Barrytown NY. I know now that the song is referring to prostelytizing by members of a religious cult that lived there. I’m not one to look behind I know that times must change. But over there is Barrytown they do things very strange. I can see by what you carry that you come from Barry…town. It is such a great enough song that over twenty years after its initial release, North Carolina’s own Ben Folds Five played their version of Barrytown on Late Show with David Letterman. I spent this night in Hudson NY, a pretty little town that is clearly on the positive side of the winner/loser divide of New York towns, with art galleries, fancy restaurants, and real estate offices,. There were upper-class looking people walking around. For a late lunch, at least in terms of decor, the Italian-American scene at this place called Oak could not have been more different than Frank Guido’s the previous evening in Kingston. Good but pretentious $ 17.00 clam pizza. My Airbnb was an entire small apartment down the main street in Hudson on the third floor. The stairs up to it reminded me of certain scenes from The Godfather. The next morning as I rode out of town, Hudson looked beautiful in the morning light. My plan for the day: I was going bike the thirty-something miles to Albany, catch an afternoon Amtrak all the way back to New York City, then sleep the night in Alex’s apartment in Brooklyn. I cycled through lovely country roads. In the town of Kinderhook I stopped for my morning decaf. I have never been a huge fan of bagels. Broad Street Bagel Company makes their own; and toasted, with hummus spread on top, I cannot remember a better bagel. Further I cycled through the streets of Renssesalaer, across then river from Albany. I crossed back across the river into downtown Albany; the 1960’s Brasilia-esque Empire State Plaza rising up from the streets of the old city. The two and a half hour Amtrak ride into New York City was a breeze. At the Albany station, I ran into two bicycle people; Paul Winkeller, Executive Director of New York Bicycling Coalition; and Harvey Botzman, an author from Rochester NY. Ten years older than me, Harvey has been doing the kind of bicycle touring I have been doing, but more or less full time, for over twelve years. He has bicycled around all of the Great Lakes, some several times each. His folding Bike Friday is in the black case on the left. He rode with me on the train and we had lots of time to compare notes. Because of congestion at Penn Station, our train deposited us instead at Grand Central Station. I had never been there before. It is what a train station is supposed to be like. My sister Betsy had come up from Princeton NJ to meet me. She held my bicycle while I took pictures. Betsy and I had a nice meal at a Sicilian restaurant in Manhattan. I slept that night in Alex’s apartment in Park Slope, Brooklyn. 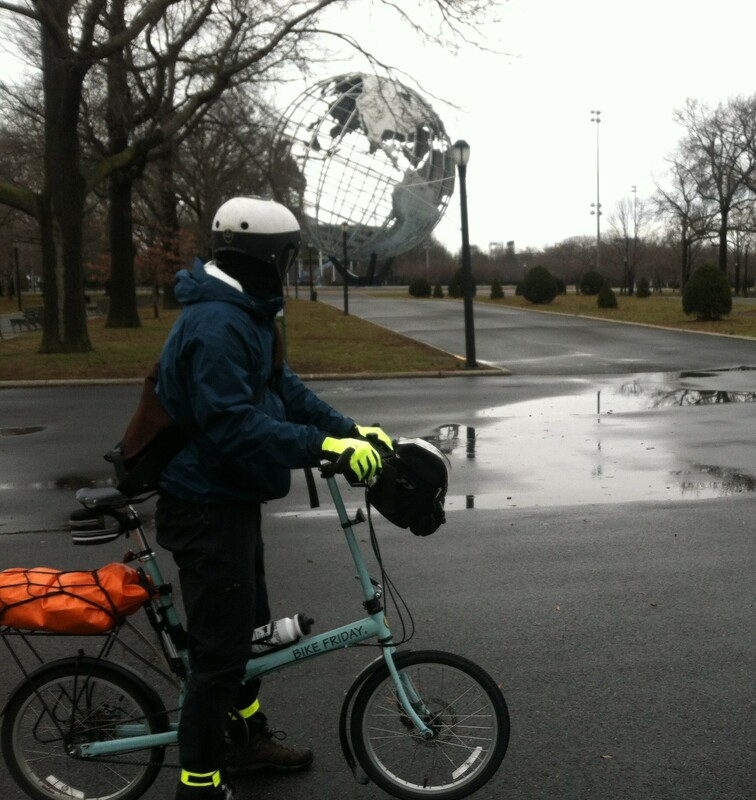 I got up around seven and headed out by bicycle for the thirteen miles to La Guardia airport. I bicycled through all kinds of neighborhoods in Brooklyn and Queens, some residential, but many commercial and industrial. This felt like a scene from The French Connection. I biked up to the Enterprise office and retrieved my suitcase. With the bicyclist inside I got over to check in at the airport. I was home in Chapel Hill by mid-afternoon. 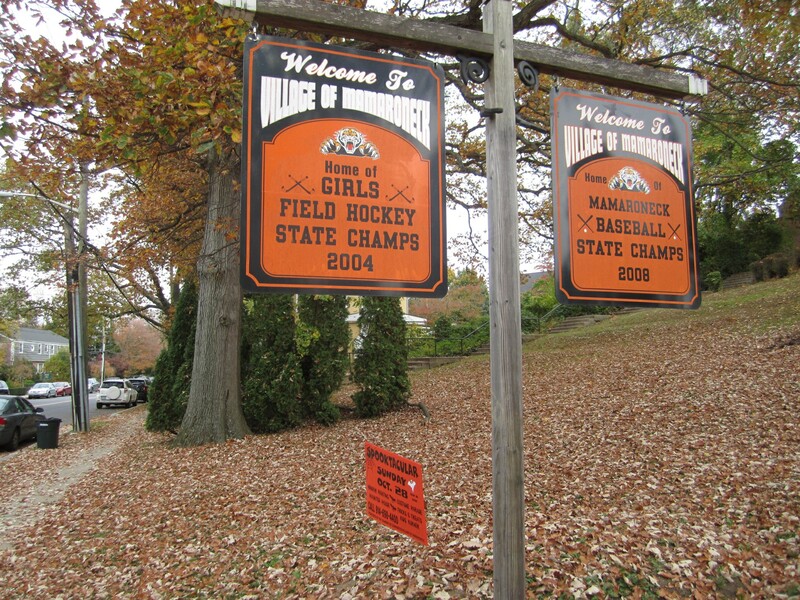 New Jersey towns change from one to another like night and day. This ride up the south Jersey shore accentuated that. I arrived at Cape May, the southernmost tip of New Jersey, by ferry from Delaware. I had been to Cape May a couple times previously, but many years ago. 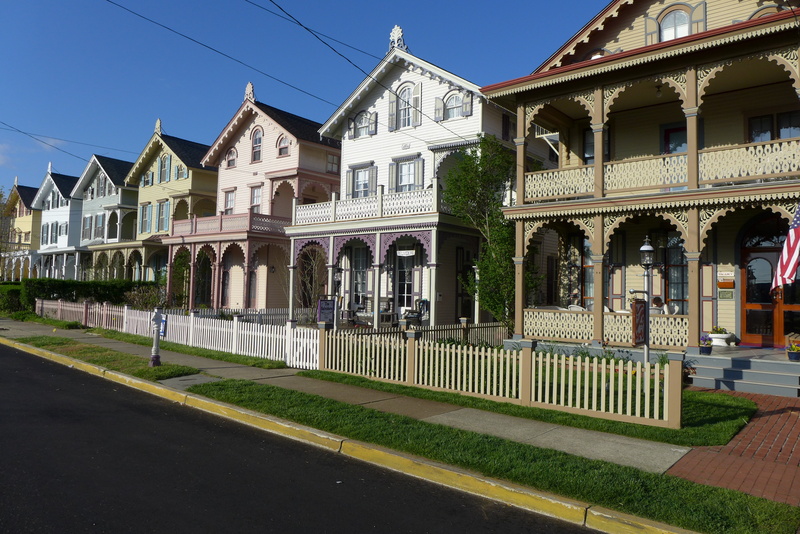 I was prepared to say that Cape May is the best looking beach town in America. It has an intact infrastructure from the late 1800’s. Maybe I like Cape May because it looks like I imagine my hometown Virginia Beach used to look, before it was torn down in the sixties, to be replaced by modernist motels, which have now been pretty much torn down as well. My current judgement of Cape May is that it is indeed great looking, but maybe a bit too cute, too precious. 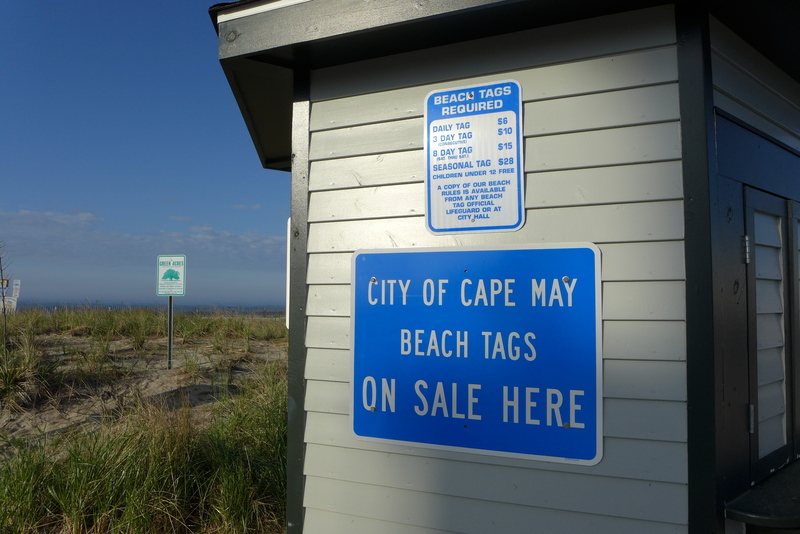 Cape May is like almost every other beach town in New Jersey; they have this insidious practice of Beach Tags; you have to pay to go on the beach. As you bicycle up the coast the fifty or so miles to Atlantic City, you pass through town after town. 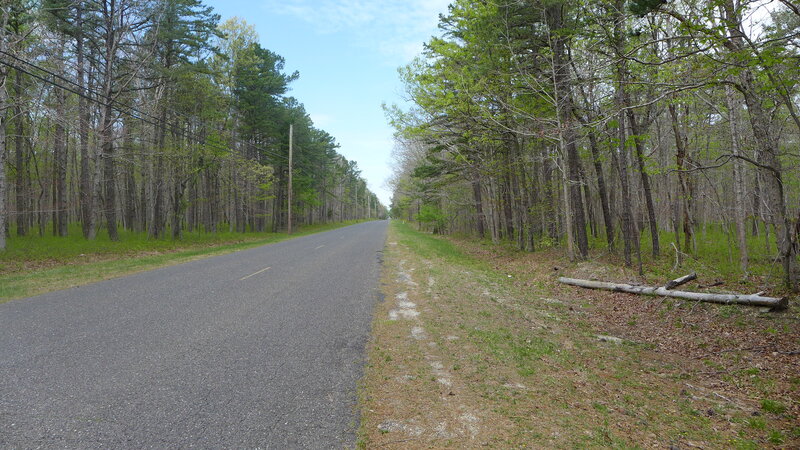 Some areas look undeveloped, even like the North Carolina Outer Banks. There is serious commercial fishing going on here as well. The Wildwoods, just north of Cape May, have tried to protect modernist motels of the fifties and sixties. Myrtle Beach and Virginia Beach should copy their actions, if it is not too late. A lot of the motels in the Wildwoods have the same types of plastic palm trees. 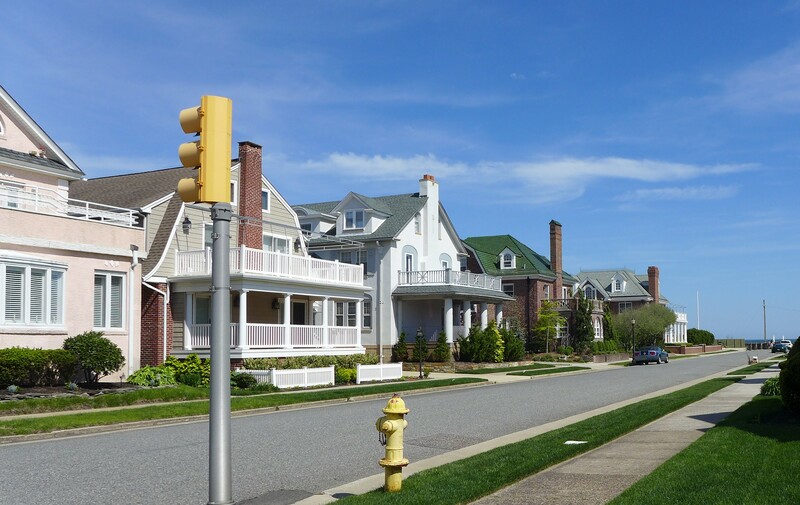 Many of the Jersey beach towns are purely residential. 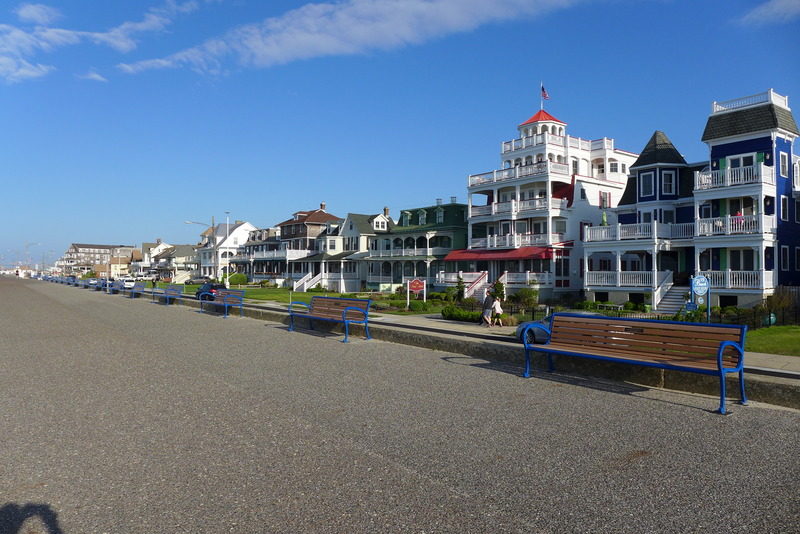 One of these towns Ventnor City is just before Atlantic City. 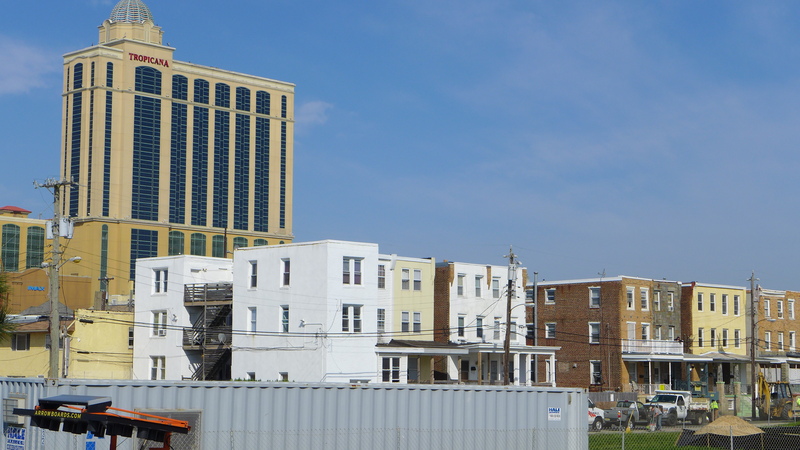 This block between the main road and the beach appears even nicer than my mother’s neighborhood in north Virginia Beach, except that in a half a mile all hell breaks loose, and it becomes casino and slum madness. Atlantic City is a complete mess. 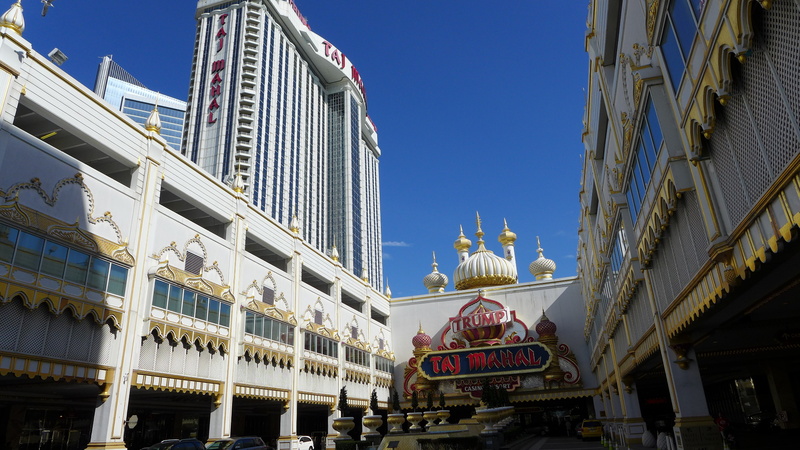 A lot of the slums have been torn down, so there is a mix of empty lots, gaudy casinos, and slums. The boardwalk is actually OK; families walking around in a dirty carnivalesque atmosphere. 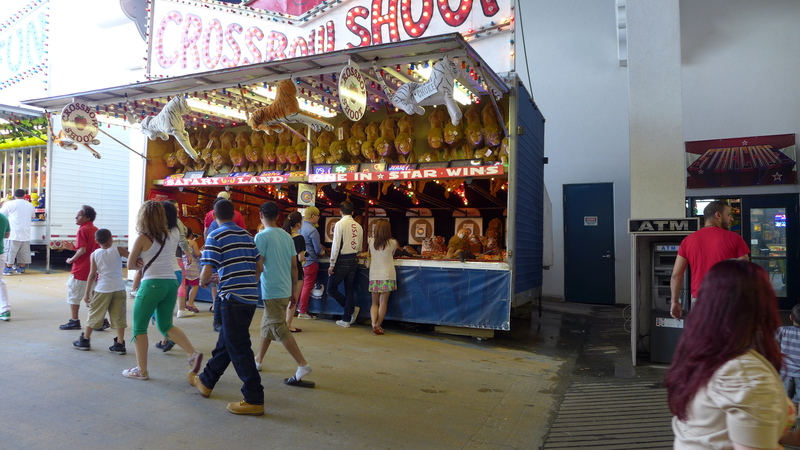 Away from the beach and boardwalk, and if you are not in one of the garish casinos, the street life is pretty scary. I was tired from all the bike riding, so on my cellphone I booked a room at the Trump. I feel guilty that I spent money on a room there. For dinner, I really did not want to eat at a chain restaurant, or anywhere in those gross casinos. 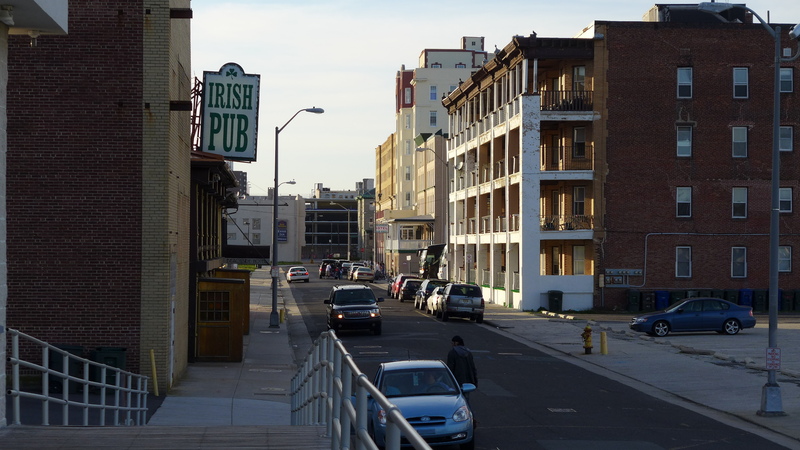 I found an Irish bar on Yelp, half a block from the boardwalk towards the slums, and it is on your left. Once inside, it was really quite nice; great roast beef sandwich. 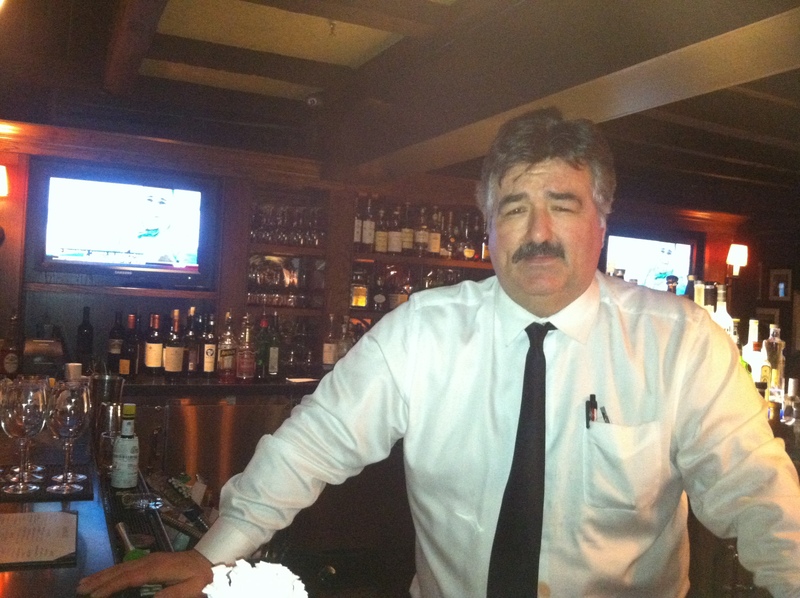 One complaint: on overhearing the others at the bar, there was semi-racist talk from middle aged white people. They felt this place was their final refuge from the hoards of people of color outside. They felt this country was going to hell. 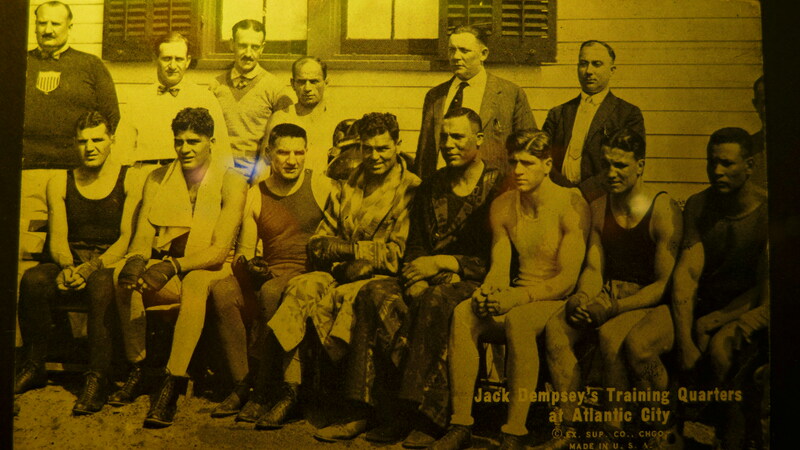 The bar had great genuine old pictures of Atlantic City on the walls, including this one of Jack Dempsey. Looks like Boardwalk Empire. There is a Sopranos episode where the city boys coming to the Jersey Pine Barrens find out that doing a mob hit in the wilderness can get much more complicated than expected. This area of south central New Jersey really does sometimes feel like a wilderness, although in places it is as close as thirty miles to downtown Philadelphia. 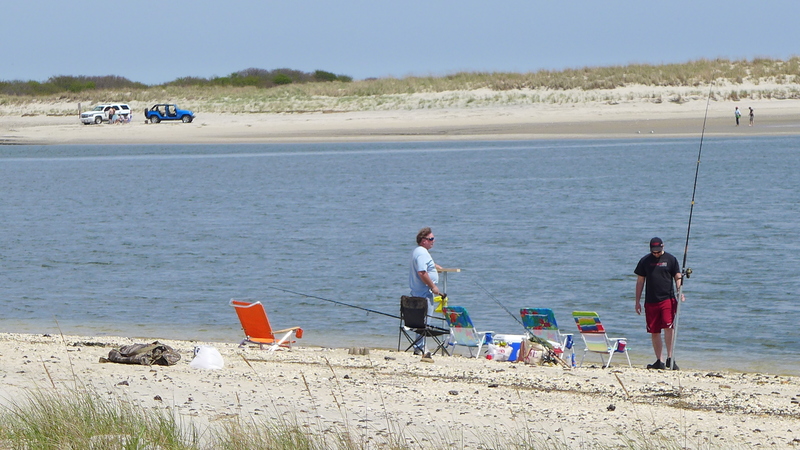 While bicycling inland from Atlantic City and passing the airport, the topography starts to look similar to rural areas of coastal South Carolina that I had recently visited, even down to the high percentage of pickup trucks. Betsy says that because New Jersey has such limited wilderness areas, they pass laws that restrict development and keep the area wild. On this lonely stretch of highway, I saw a dog standing in the road, not within sight of a house in either direction. From the bicycle, I also saw a snake slither off the road. The places people live out here also looks a lot like South Carolina. I will confess that I cheated a little on this ride, and about twenty miles from Central City Philadelphia, I caught the commuter train, so that I could stay in the big city that night, and also avoid bicycling through Camden NJ, described by some as The Most Dangerous City in America. On my cellphone, I bid low on Priceline dot com for an anonymous hotel, and got this art deco gem. It tries hard to seem hip; bicycles in the lobby windows, yoga mats in the rooms. I had dinner that night at the Dandelion, a gastropub around the corner from my hotel. 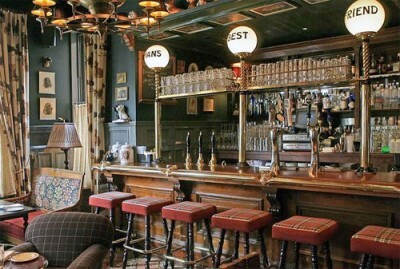 The British, if they actually invented the gastropub, should be proud of themselves. A pub has always been a warm inviting space, but traditionally the delicious beer was offset by terrible food. British dishes like bangers and mash, or shepherd’s pie, need not be that different in quality from French dishes like steak frites, if the cooking is done with quality ingredients and careful (French) technique. At the Dandelion, I had welsh rarebit followed by salmon, and it was all delicious; washed down by British import IPA, manually pumped.